The package cost is inclusive of accommodation for two persons in stated hotels or similar subject to availability, breakfast, sightseeing at all places, canoe ride & pedal boating at Alleppy, evening sunset cruise by boat at Alleppy, fishing activity at Alleppy, conveyance in a chauffeur driven NON A/c car, airport / railway station - hotel transfers, and all applicable taxes. The pick-up & drop shall be at at Cochin (Kochi). If the travel is by train, you have to alight at Ernakulam Railway Station. 01 Night / 02 Days A/c Luxury House Boat cruise at Alleppey (Alappuzha) backwaters for TWO persons. (the package cost includes accommodation for two persons in a single apartment A/c Luxury Houseboat or similar subject to availability, welcome drink, breakfast, lunch, dinner, sightseeing, cruise, and all applicable taxes ). 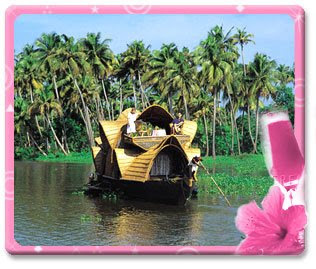 The package starts & ends at Alleppey and the cruise will be in and around Alleppey (Alappuzha ). [A/c functions in the houseboat throughout day & night; The house boat will be of Gold Star category with Green Palm Certification]. The package cost includes accommodation for two persons in stated hotels or similar subject to availability, breakfast, wildlife sightseeing by boat at Thekkady, Non A/c houseboat cruise with overnight stay, sightseeing at all places, conveyance in a chauffeur driven NON A/c car, airport / railway station pick-up & drop, and all applicable taxes. All meals are included during houseboat stay. The pick-up & drop shall be at Kochi (Cochin ). If the travel is by train, you have to alight at Ernakulam Railway Station. The package cost is inclusive of accommodation for two persons in stated hotels or similar subject to availability, breakfast, sightseeing at all places, Boat transfers at Alleppey, evening sunset cruise by boat at Alleppey, houseboat cruise with overnight stay, conveyance in a chauffeur driven NON A/c car, airport / railway station pick-up & drop, and all applicable taxes. All meals are included during houseboat stay. The pick-up & the drop shall be at Kochi (Cochin). If the travel is by train, you have to alight at Ernakulam Railway Station. The package cost is inclusive of accommodation for two persons in stated hotels or similar subject to availability, breakfast, sightseeing at all places, Non A/c Houseboat cruise with overnight stay, conveyance in a chauffeur driven NON A/c car, boat transfers at Alleppy, evening sunset cruise by boat at Alleppy, airport / railway station pick-up & drop, and all applicable taxes. All meals are included during Houseboat stay. The pick-up & the drop shall be at Kochi (Cochin). If the travel is by train, you have to alight at Ernakulam Railway Station. The package cost is inclusive of accommodation for two persons in stated hotels or similar subject to availability, breakfast, sightseeing at all places, Non A/c Houseboat cruise with overnight stay, Wildlife sightseeing by boat at Thekkady, boat transfers at Alleppy, canoe ride & pedal boating during stay at Kondai resort, conveyance in a chauffeur driven NON A/c car, airport / railway station pick-up & drop, and all applicable taxes. All meals are included during Houseboat cruise & stay. For this package the pick-up shall be at Kochi (Cochin) & the drop shall be at Trivandrum (Thiruvananthapuram). If the travel is by train, you have to alight at Ernakulam Railway Station. If drop is required ex. Cochin (Kochi) then extra charges may apply. The package cost is inclusive of accommodation for two persons in stated hotels or similar subject to availability, breakfast, sightseeing at all places, Wildlife sightseeing by boat at Thekkady, boat transfers at Alleppy, Houseboat cruise with overnight stay, evening sunset cruise by boat at Alleppey, conveyance in a chauffeur driven NON A/c car, airport / railway station pick-up & drop, and all applicable taxes. All meals are included during Houseboat cruise & stay. The pick-up & the drop shall be at Kochi (Cochin). If the travel is by train, you have to alight at Ernakulam Railway Station. Day 04 - Departure from Cochin. The package cost is inclusive of accommodation for two persons in stated hotels or similar subject to availability, breakfast, sightseeing at all places, Houseboat cruise with overnight stay, conveyance in a NON A/c car, airport / railway station pick-up & drop, and all applicable taxes. The pick-up & the drop shall be at Kochi (Cochin). If the travel is by train, you have to alight at Ernakulam Railway Station. All meals are included during Houseboat cruise & stay. persons in a Garden View room or similar subject to availability, breakfast, Boat transfers to the resort, Airport / Railway station arrival & departure transfers, and all applicable taxes. The pick-up & the drop shall be at Trivandrum (Thiruvananthapuram). 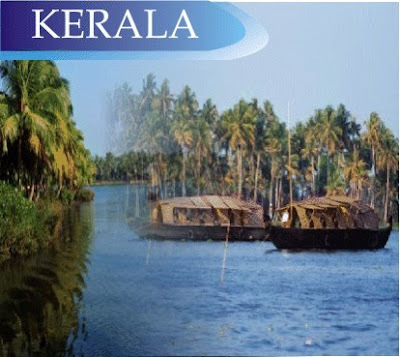 The package cost is inclusive of accommodation for two persons, breakfast in stated hotels or similar subject to availability, sightseeing at all places, boat transfers at Alleppey, evening sunset cruise by boat at Alleppey, canoe ride & pedal boating at Alleppy, wildlife sightseeing by boat at Thekkady, ,conveyance in a chauffeur driven NON A/c car, airport / railway station pick-up & drop, and all applicable taxes. The pick-up & the drop shall be at Kochi (Cochin). If the travel is by train, you have to alight at Ernakulam Railway Station. The package cost is inclusive of accommodation for two persons in stated hotels or similar subject to availability, breakfast, sightseeing, conveyance in a chauffeur driven NON a/c car, airport / railway station - hotel transfers, and all applicable taxes. The pick-up & drop shall be at Kochi (Cochin). If the travel is by train, you have to alight at Ernakulam Railway Station. The price is inclusive of accommodation for two persons in stated hotels or similar subject to availability, breakfast, Boat transfers at Alleppey, Evening sunset cruise by boat at Alleppey, canoe ride & pedal boating at Alleppy, sightseeing at all places, airport / railway station transfers, conveyance in a NON A/c car, entry tickets at all points, and all applicable taxes. The pick-up and drop shall be at Kochi (Cochin). If the travel is by train, you have to alight at Ernakulam Railway Station. 05 nights / 06 days Kerala Wildlife and Hill Honeymoon Tour Package to Thekkady ( Periyar ), Munnar Hills & Alleppey Backwaters. The package cost includes accommodation for two persons in stated hotels or similar subject to availability, breakfast, wildlife sightseeing by boat at Thekkady, sightseeing at all places, conveyance in a NON A/c car, Evening sunset cruise by boat at Alleppey, boat transfers at Alleppey, fishing activity at Alleppy, canoe ride & pedal boating at Alleppy, airport / railway station pick-up & drop, Forest entry fee, and all applicable taxes. The pick-up & drop shall be at Kochi (Cochin). If the travel is by train, you have to alight at Ernakulam Railway Station. The package cost is inclusive of accommodation for two persons or similar subject to availability, breakfast, sightseeing, conveyance in a chauffeur driven NON a/c car, airport / railway station - hotel transfers, and all applicable taxes. The pick-up & drop shall be at Kochi (Cochin). If the travel is by train, you have to alight at Ernakulam Railway Station. The package cost is inclusive of accommodation for two persons in stated hotels or similar subject to availability, breakfast, sightseeing at all places, Wildlife sightseeing by boat at Thekkady, boat transfers at Alleppy, evening sunset cruise by boat at Alleppey, conveyance in a chauffeur driven NON A/c car, airport / railway station pick-up & drop, and all applicable taxes. The pick-up shall be at Kochi (Cochin) & the drop shall be at Trivandrum (Thiruvananthapuram). If the travel is by train, you have to alight at Ernakulam Railway Station. Day 01 - Kumarakom backwaters - (Luxury A/c Boat House cruise to Alleppey with overnight stay. The package cost is inclusive of accommodation for two persons in stated hotels or similar subject to availability, breakfast, sightseeing, A/c Luxury house boat cruise, boat transfers at Alleppy, evening sunset cruise by boat at Alleppy, airport / railway station pick-up and drop, conveyance in a chauffeur driven NON a/c car and all applicable taxes). All meals are included during houseboat stay. The pick-up and drop would be at Kochi (Cochin). If the travel is by train, you have to alight at Ernakulam Railway Station. 03 Nights / 04 Days Kerala Waterfalls & Backwater Honeymoon Tour package to Athirapally waterfalls and Munnar Hills . 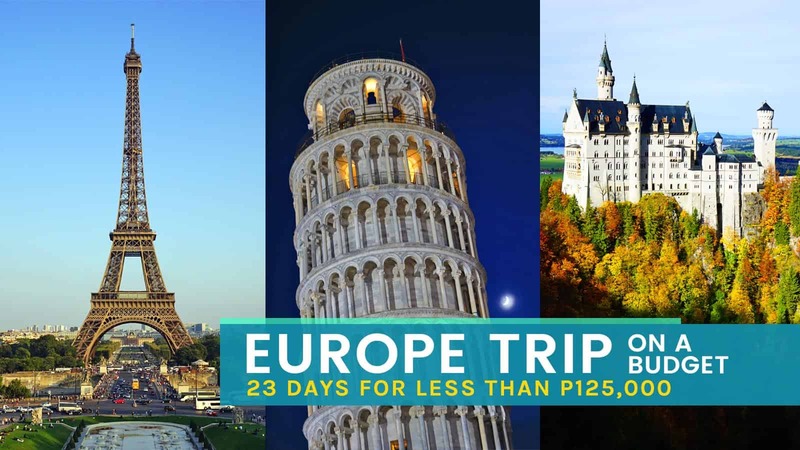 The package cost is inclusive of accommodation for two persons in stated hotels or similar subject to availability, breakfast, sightseeing at all places, airport/railway station pick-up and drop, conveyance in a NON A/c car and all applicable taxes. The pick-up & drop shall be at Kochi (Cochin). If the travel is by train, you have to alight at Ernakulam Railway Station. (Thiruvananthapuram), Munnar hills, Thekkady (Periyar), Alleppey (Alappuzha), Kovalam beach & Kanyakumarii (Cape Comorian). The package cost is inclusive of accommodation for two persons in stated hotels or similar subject to availability, breakfast, sightseeing at all places, wildlife sightseeing by boat at Thekkady, 01 hour backwater cruise by motor boat at Alleppey, visit to Kanyakumarii, conveyance in a chauffeur driven NON A/c car, airport / railway station - hotel transfers, and all applicable taxes. The pick-up shall be at at Cochin (Kochi) & the drop shall be at Trivandrum (Thiruvananthapuram). If the travel is by train, you have to alight at Ernakulam Railway Station. 09 Nights / 10 Days MEGA KERALA Package covering Cochin, Munnar hills, Thekkady wildlife, Alleppey backwaters, Kumarakam houseboats, Trivandrum, Kovalam beach & Kanyakumarii (Cape Comorian). The package cost is inclusive of accommodation for two persons in stated hotels or similar subject to availability, breakfast, house boat cruise, sightseeing at all places, houseboat cruise with overnight stay, visit to Kanyakumarii, wildlife sightseeing by boat at Thekkady, canoe ride & pedal boating at Alleppey, evening sunset cruise by boat at Alleppey, visit to Kovalam beach, conveyance in a chauffeur driven NON A/c car, airport / railway station - hotel transfers, and all applicable taxes. All meals are included during stay in the Houseboat. The pick-up shall be at at Cochin (Kochi) & the drop shall be at Trivandrum (Thiruvananthapuram). If the travel is by train, you have to alight at Ernakulam Railway Station. The package cost is inclusive of accommodation for two persons in stated hotels or similar subject to availability, breakfast, Houseboat cruise with overnight stay, boating in Periyar to view wildlife, Boat transfers at Alleppey, evening sunset cruise by boat at at Alleppey, conveyance in a chauffeur driven NON a/c car, sightseeing at all places, airport / railway station - hotel transfers, and all applicable taxes. All meals are included during houseboat stay. The pick-up & drop shall be at Cochin. If the travel is by train, you have to alight at Ernakulam Railway Station. The package cost includes accommodation for two persons in a single apartment A/c Luxury Houseboat or similar subject to availability, welcome drink, breakfast, lunch, dinner, sightseeing, cruise, and all applicable taxes). The package starts & ends at Alleppey and the cruise will be in and around Alleppey (Alappuzha). [A/c functions in the houseboat throughout day & night; The house boat will be of Gold Star category with Green Palm Certification]. The check-in time of the house boat is at 12 noon and the check-out time is 09:30 a.m., next day. 10 Nights / 11 Days MEGA KERALA Package covering Kerala Hills (Munnar), Kerala Wildlife (Thekkady), Kerala Backwaters (Alleppey / Alappuzha), Houseboat cruise (Kumarakam), Kerala Beaches (Trivandrum-Kovalam beach) & Land's end point (Kanyakumari). The package cost is inclusive of accommodation for two persons in stated hotels or similar subject to availability, breakfast, sightseeing at all places, visit to Kanyakumarii, visit to Kovalam beach, Houseboat cruise with overnight stay, wildlife sightseeing by boat at Thekkady, conveyance in a chauffeur driven NON A/c car, boat transfers at Alleppy, evening sunset cruise by boat at Alleppy, airport / railway station - hotel transfers, and all applicable taxes. All meals are included during houseboat stay. The pick-up & drop shall be at Kochi (Cochin). If the travel is by train, you have to alight at Ernakulam Railway Station. I read this post fully on the topic of the difference of most recent and preceding technologies, it's remarkable article. This is an extremely neatly written article. I'll make sure to bookmark it and come back to read extra of your useful information. Thank you for the post. I'll certainly return. And he in fact bought me dinner due to the fact that I stumbled upon it for him.
! But yeah, thanks for spending the time to talk about this issue here on your blog.